Cities are uniquely placed to transform the fight against noncommunicable diseases and injuries. 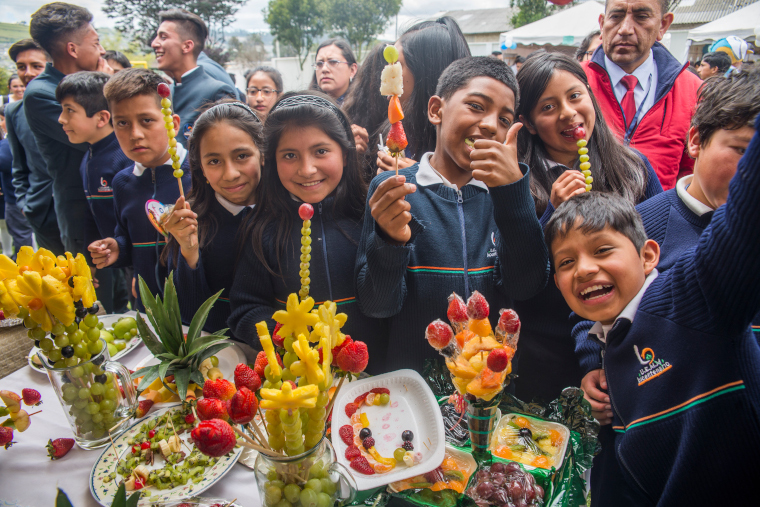 Quito will provide 13,000 children with access to healthier foods in schools, prohibit marketing of unhealthy foods at schools, and collect baseline health information to measure program outcomes. 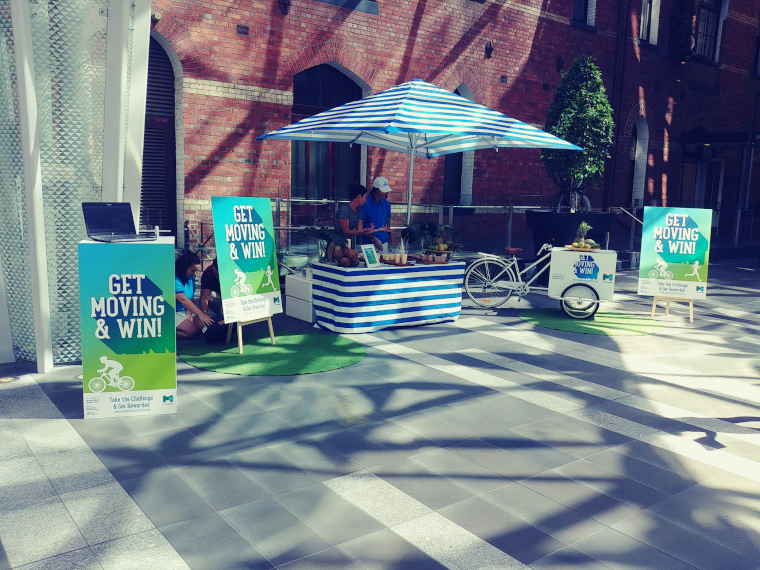 Melbourne’s Get Moving program targets the 400,000+ city workers, encouraging physical activity through a rewards system on a mobile app. Increase drink driving enforcement and public awareness. Increase active transportation (walking, biking) by providing incentives through Get Moving! mobile app. Redesign a corridor in the Gulshan neighborhood to provide a safer environment for pedestrians and cyclists. Improve existing cycling infrastructure, including redesign of four major bike crossings and develop a corporate bike share program. Strengthen enforcement of bans on tobacco advertising, promotion, and sponsorship at point of sale. Install new wayfinding signs to increase use and improve safety of the city’s cycling paths. Establish nutrition standards for city-owned institutions, focusing on reducing sugary drink and salt consumption. Develop evidence-based policy options related to promotion, availability, or pricing of sugary drinks. Expand and promote “Safe School Zones” by increasing safe streets and mapping safe routes for children to walk and bike to school. Develop a “Safe Routes to Schools” program and implement in the La Pintana neighborhood. Amend city smoke-free law to ban e-cigarette use indoors; increase enforcement of smoke-free law. Increase enforcement and compliance of smoke-free law; amend current law for 100% smoke-free environments. Improve the school food environment by improving food guidelines and local communications campaigns to promote healthy foods. Create a Bicycle Action Plan to expand city-wide cycle infrastructure and increase its use. Implement national legislation on nutritional quality of food sold in schools. Redesign a neighborhood to reduce speeds and improve pedestrian safety, with enforcement, and community and media engagement. Develop a data map of Paris’ air pollution and replace city’s remaining oil-fired boilers with cleaner systems. Redesign a major roadway with high crash rates by incorporating speed reduction measures. Conduct a household survey of NCD risk factors. Increase enforcement of the city’s smoke-free law. Implement NCD risk factor mobile survey at the local level. Strengthening smoke-free regulations and compliance, focusing on hotels, restaurants, and city-owned buildings. Enhance enforcement of existing ban on tobacco advertising, promotion, and sponsorship. Strengthen enforcement of smoke-free law, including in all city-owned buildings. Enforce smoke-free laws and increase compliance through new regulations, focused on government buildings and hospitality sector. Promote and increase the use of the city bike share program, ViaRecreativa and survey its use. Amend the local transit regulation to increase drink driving fines and reduce BAC limit. Enhance enforcement of safe school zones through speed regulations and communications campaigns. Promote seat-belt use through media campaigns and enforcement activities. Establish a smoke-free Kyauk-ta-da Township, as a model for creating a smoke-free Yangon City by 2022. Enhance enforcement of existing national smoke-free law, through regulations and compliance with a focus on the hospitality sector. Develop nutrition standards for public hospitals. Implement existing city ordinance that prohibits sale and promotion of sugary drinks near schools. Establish and implement guidelines to enforce national smoke-free law at city-level. Explore options to restrict sale of sugary drinks in city-owned buildings. Collect nutrition and obesity data to inform long-term policy planning and promote reduced sugary drink consumption on subway advertisements. Evaluate the health impacts of the city’s Superblock initiative. Monitor vehicle speed and increase enforcement in high-speed areas. Implement the city’s smoke-free legislation. Launch and evaluate healthy early childhood settings to meet evidence-based social and nutrition guidelines. Promoting active mobility and cycling best practices and infrastructure planning in the Rusanivka neighborhood. Enhance existing “Safe Route to Schools” program through updated safe routes maps for children to walk and bike to school. Monitor and communicate neighborhood air quality data, including indicators of pollution sources. Create a system for routine monitoring of pedestrian and bike counts across the city. Establish a surveillance system that integrates NCD data across health care provider systems. Propose a new regulation to reduce salt consumption by limiting sodium content in restaurant foods. Reduce vehicle speeds through new road designs (speed bumps) and media campaign. Implement traffic calming measures and infrastructure to increase safety of children’s walking routes to and from school.